Dairy-free fudgesicles are creamy and so easy to make at home! 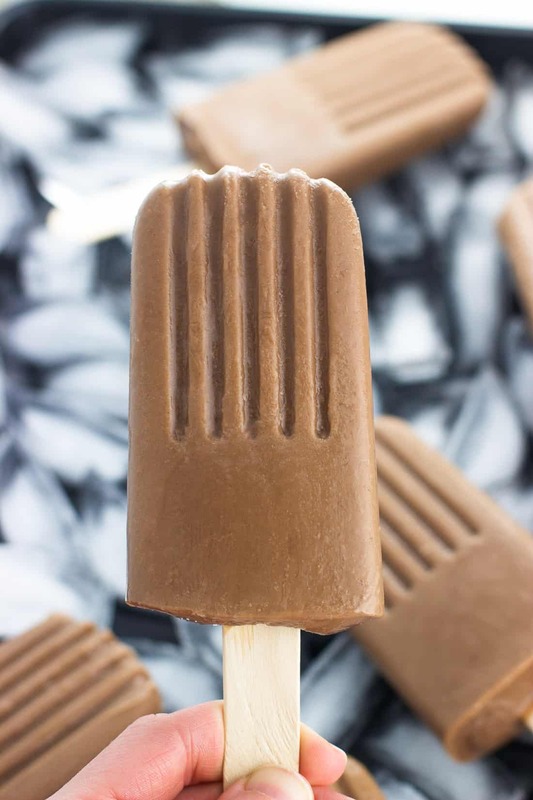 This chocolate fudge pop recipe is made using a mix of coconut milk and almond milk for a better-for-you dairy-free popsicle treat. When the weather heats up, I get so nostalgic for childhood summertime treats. Like Good Humor bars. Did you have a favorite flavor? Strawberry shortcake was a classic but I loved the toasted almond ones. Like, LOVED loved. I’m thinking that’s where my love for almond-flavored anything came from. Another bar I’d seek out at a pool party were fudge pops. It’s (really) hard to go wrong with chocolate, right? 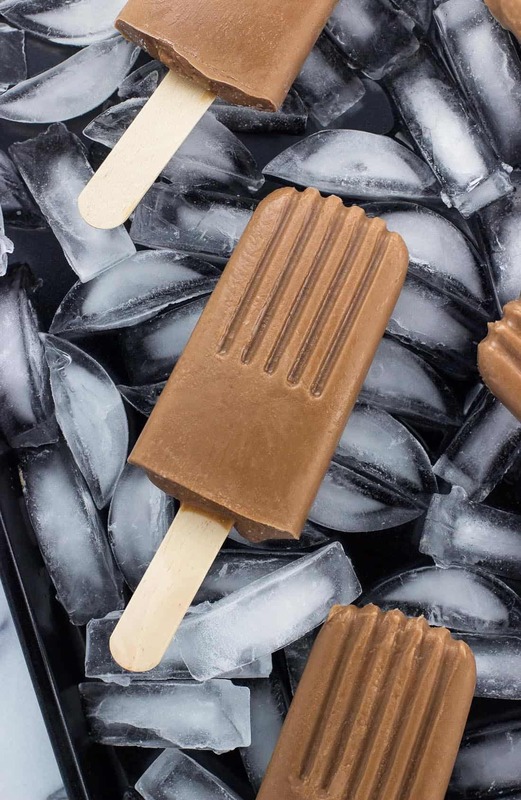 Now as an adult I not only can buy fudgesicles at the store any time I please, but make my own versions at home – including these dairy-free fudgesicles. 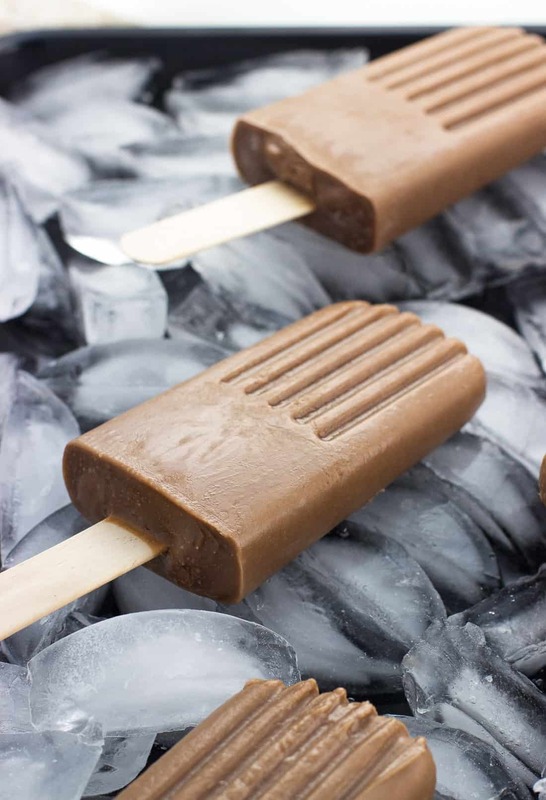 Just six ingredients are all you need to make these dairy-free fudgesicles. 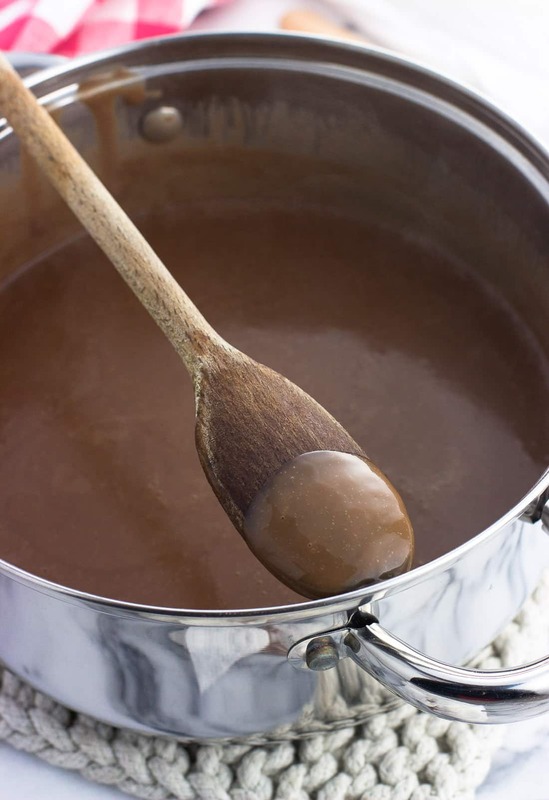 To begin, sugar, cornstarch, and cocoa powder are whisked together well in a medium-sized saucepan. The cornstarch is important in that it will thicken everything up beautifully as the mixture heats. 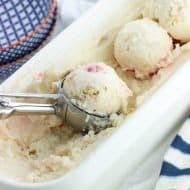 A thick popsicle mixture means that once frozen, you’ll have less of the frosty/icy bits that water or juice based popsicles have and more frozen creaminess, which is exactly what we want with dairy-free fudgesicles. Make sure all of the lumps are whisked out before adding the milks so you get the mixture as smooth as you can! Next is an important ingredient: the liquid. 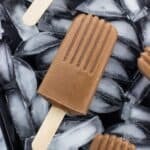 Either coconut milk or almond milk are no-brainer substitutes for dairy milk in many recipes, but I chose to use a combination of the two for these dairy-free fudgesicles. Since we need fat in the liquid to help make them creamy, all almond milk wouldn’t be a good choice because there’s barely any fat there. Full-fat coconut milk is on the other end of the spectrum with lots of fat. While these dairy-free fudgesicles are certainly a frozen dessert treat, I didn’t want them to be extra high in calories. For example, using all full-fat coconut milk here would have increased the calories per popsicle to approximately 250 instead of 140. Even though I don’t count calories, I don’t think these fudgesicles need to be quite that indulgent. They’re delicious and refreshing as they are. With that said, I used a combination of almond milk and lite coconut milk in these dairy-free fudgesicles. I’ve done a similar combination with this dairy-free banana pudding recipe and loved the results. Especially when combined with the cornstarch, the mixture thickens nicely and maintains a creaminess in the frozen fudgesicles. BTW you can use regular coconut milk instead of lite, and even play around with the ratios a bit to make these dairy-free fudgesicles in line with your tastes. There’s definitely some wiggle room here. These dairy-free fudgesicles are so welcome as a summertime dessert, and are a wonderful homemade substitute for anyone who doesn’t consume dairy. Or really, anyone at all. I bet even the dairy drinkers in your crowd won’t even know they’re “different” — I know those in mine didn’t! If you don’t have a popsicle mold, you can fill small plastic cups and insert popsicle sticks in the center. The recipe yields about 20 oz of the fudgesicle mixture so divide accordingly. I have this popsicle mold (affiliate link) and usually use the handles that come with it, but since mine is a shocking neon green, it doesn’t make for the best photos. Says my picky self, but they are useful for catching drips. I bought the jumbo popsicle sticks seen here at the dollar store! If you don’t have a popsicle mold and will be using popsicle sticks, see note in the recipe card about the timing of inserting the popsicle sticks. You might want to set a timer because you don’t want to forget! You can also put aluminum foil over top of them and poke a hole with the sticks through them, but that method never really works as well as I want it to. 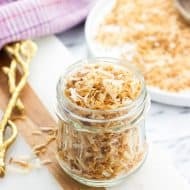 You can use regular coconut milk instead of lite if you want, but keep in mind the nutritional information in the recipe card below was calculated using lite. 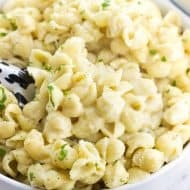 Use canned coconut milk. The large refrigerated cartons aren’t the best for cooking or baking as they usually have water and other ingredients added. 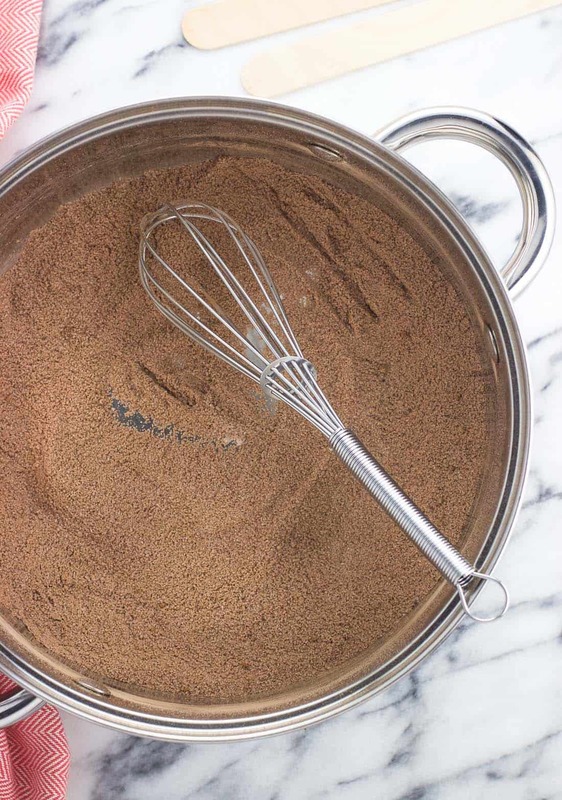 Whisk together sugar, cocoa powder, and cornstarch very well in a medium saucepan until no lumps remain. 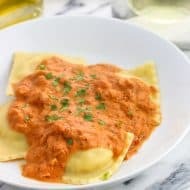 Pour almond milk and coconut milk into the sauce and whisk. 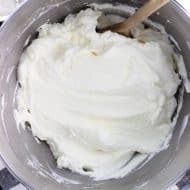 Set saucepan over medium heat, whisking/stirring often, for 15-18 minutes, or until the mixture reaches the consistency where it coats the back of a wooden spoon (see photo for what this looks like). Remove saucepan from heat and stir in coconut oil and vanilla extract until melted and smooth. Pour mixture evenly into popsicle molds. If using a mold set that comes with handles, attach those. If not, place popsicles in the freezer for 20-25 minutes. At that point the mixture should be thickened enough so that you can insert popsicle sticks into the centers without them falling over. Freeze for at least another 5-6 hours, or until frozen entirely. 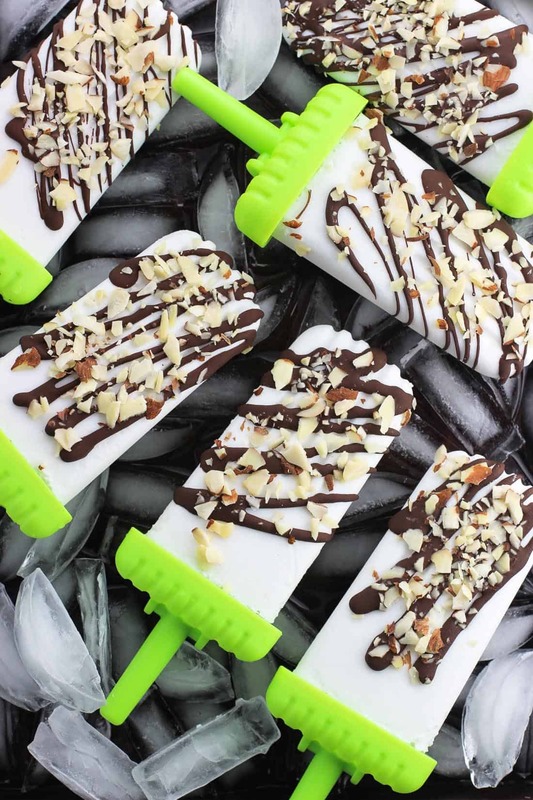 If I may, try out these chocolate drizzled coconut popsicles with almonds next. 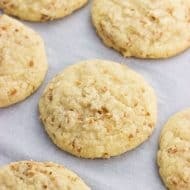 They’re like a frozen Almond Joy!